Short yet richly packed introduction to the beliefs of Jehovah’s Witnesses. After a brief historical overview, the book discusses what the religion teaches about religious authority, the Trinity and deity of Christ, death and hell, the resurrection of Christ and of believers, salvation, and Christ’s return. For each of these doctrinal issues, the book gives an objective statement of what the Jehovah’s Witnesses believe, their main arguments for those beliefs, and a biblical response. 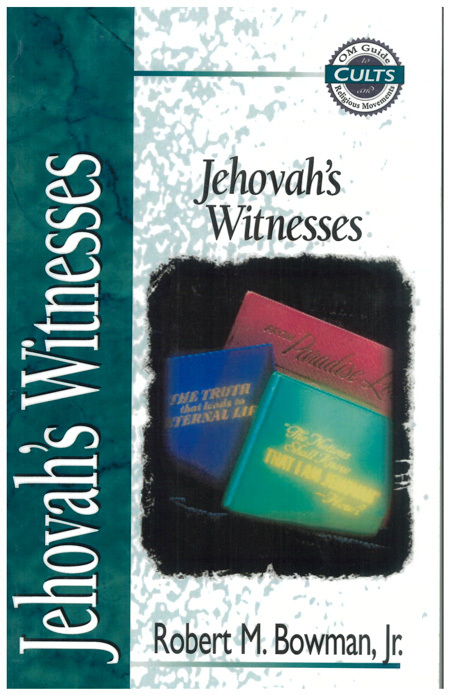 The book concludes with some helpful do’s and don’ts of witnessing to Jehovah’s Witnesses and comparison tables that summarize the main errors in their doctrine. 85 pages. Select your discount, click Add To Cart, then select quantity in the cart prior to checkout. Copyright © 2019, Institute For Religious Research. Website by Web Bro.